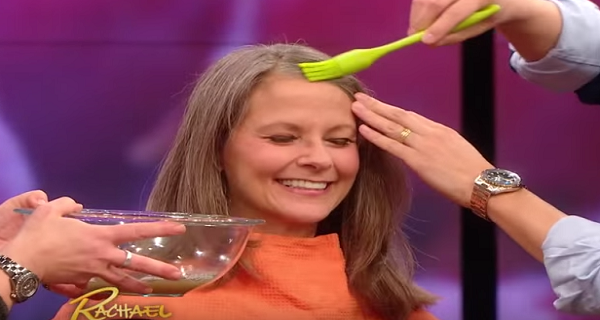 Women don’t want to see gray hairs on their heads, because it’s proof they’re getting older. You can get rid of them by dying your hair, however, there’s another somewhat bizarre way, to darken them. Instead of immediately going to the hairdresser and throwing large amounts of money on hair dyes, you can try this method. Even though it seems strange, it really works. All you need to do is add potato shells in water, and cook them for 30 minutes. After, remove the shells and using a brush, apply this brown liquid on your hair. Repeat this procedure several times to achieve a better result. You can also watch the video we provided.